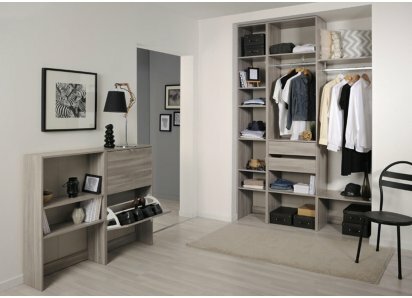 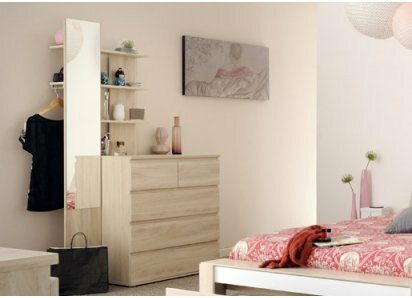 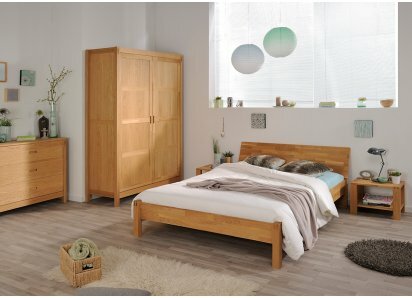 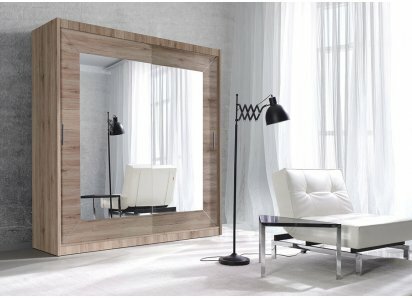 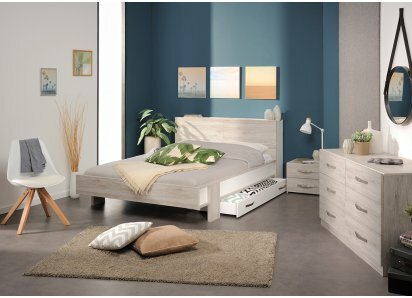 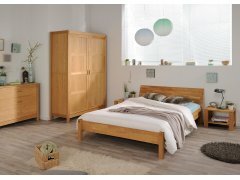 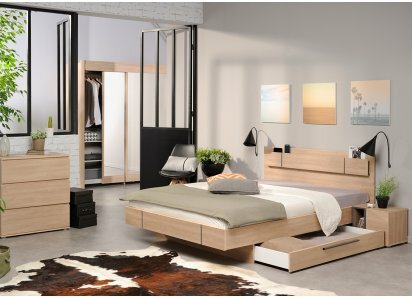 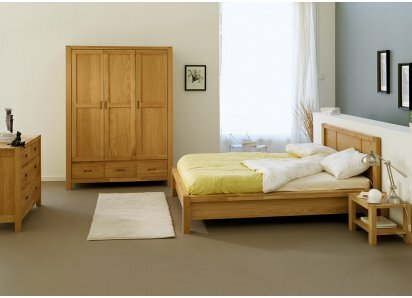 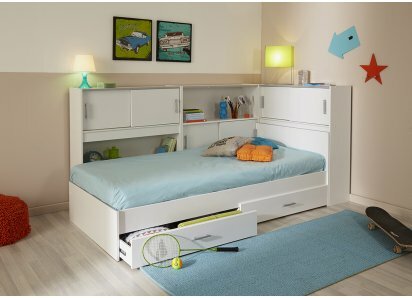 RoomSmart’s Garden Collection bedroom furniture features a platform bed, night stand, and 3-drawer chest in premium oak hardwood. 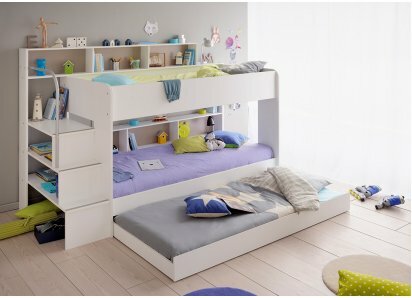 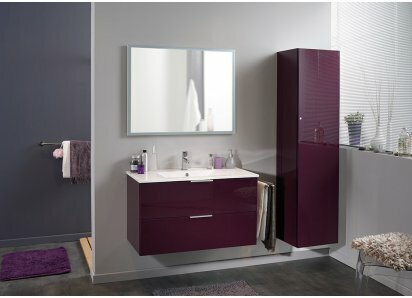 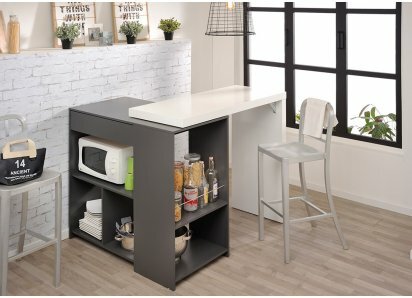 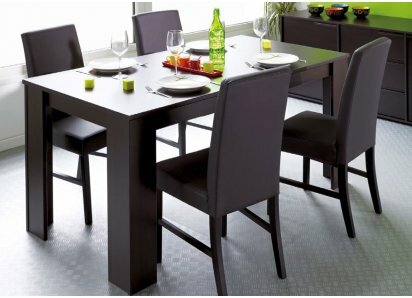 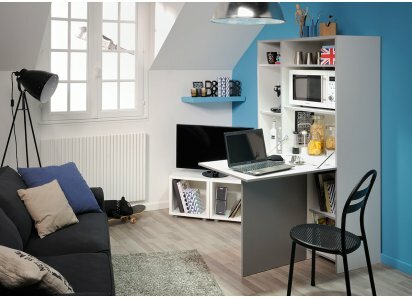 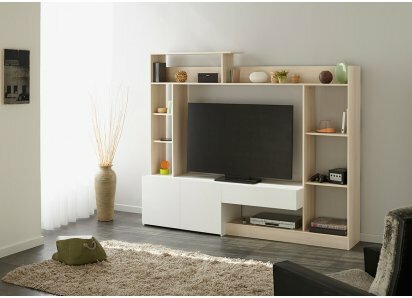 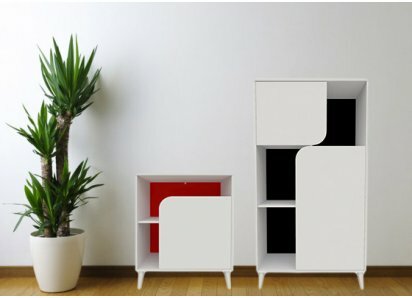 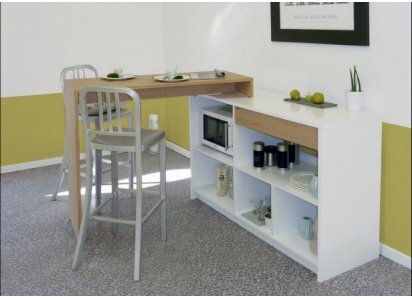 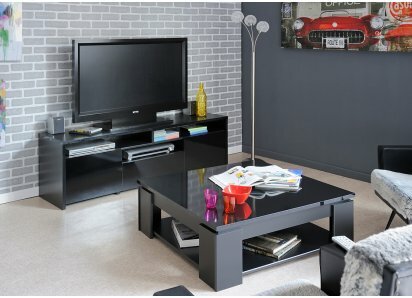 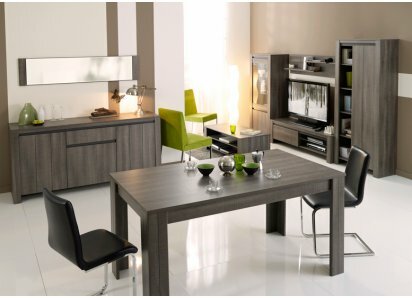 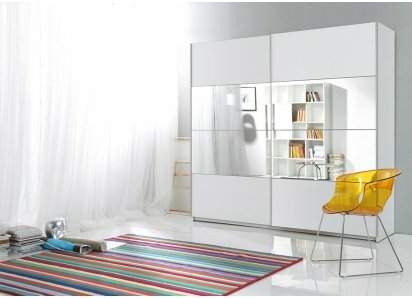 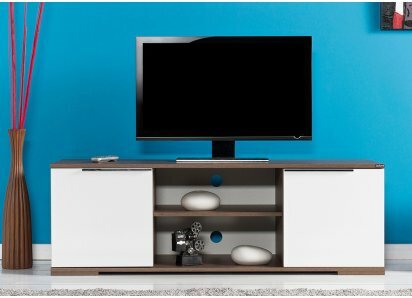 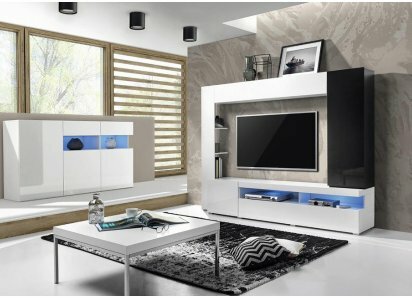 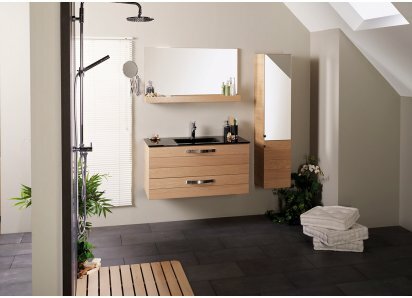 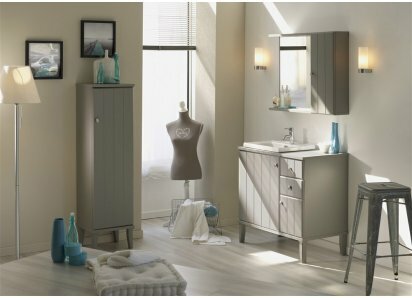 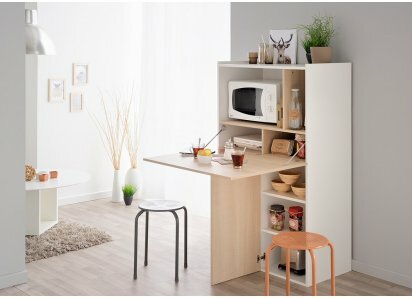 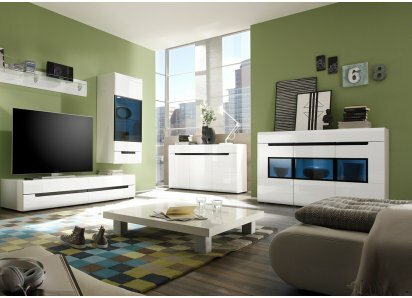 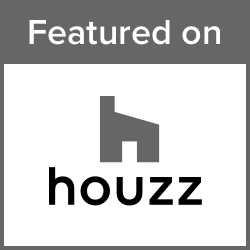 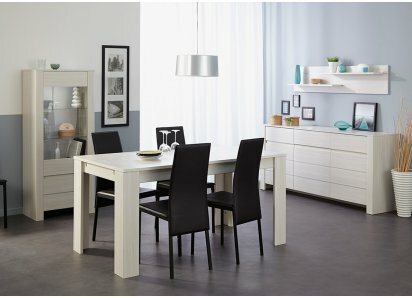 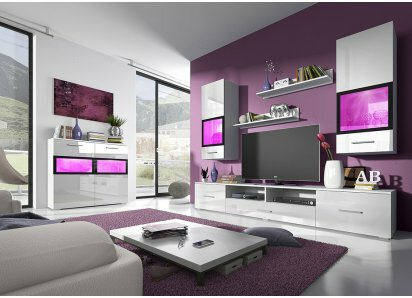 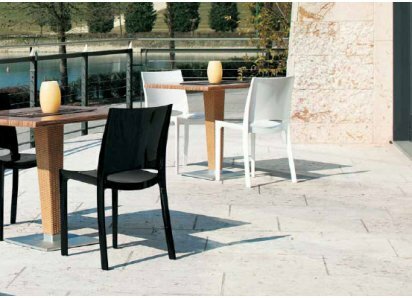 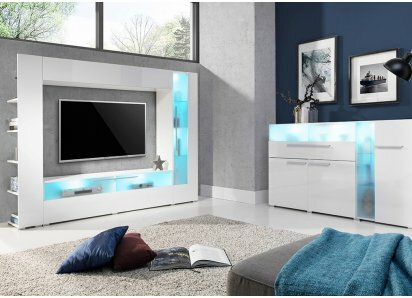 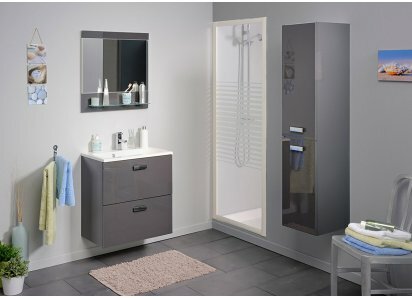 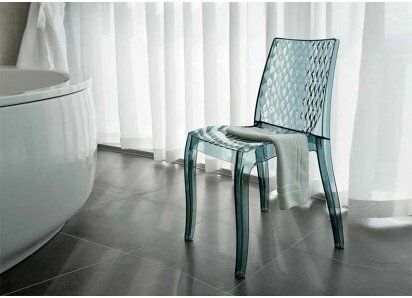 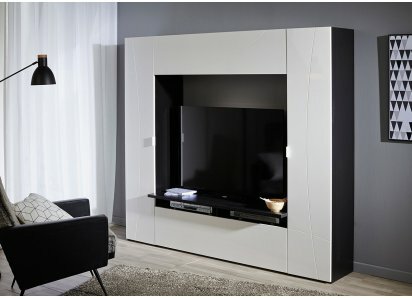 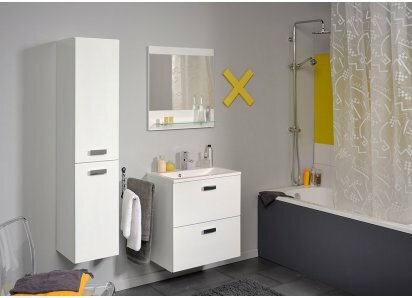 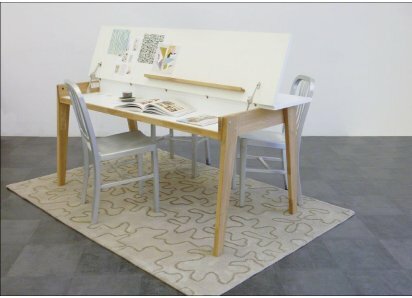 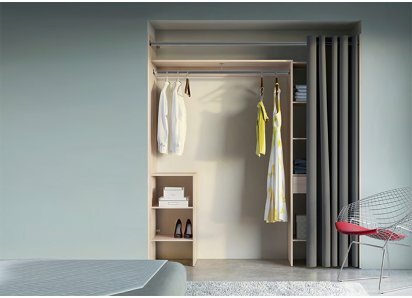 The designer and manufacturer, Parisot Company from France, has built this furniture to last for years. 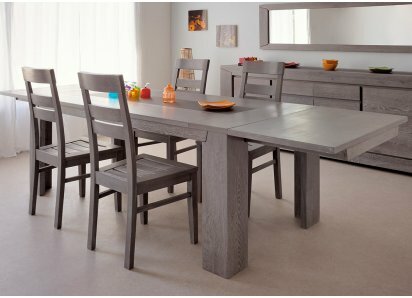 The hardwood is sturdy and long-lasting, and the corners are box-jointed for extra stability. 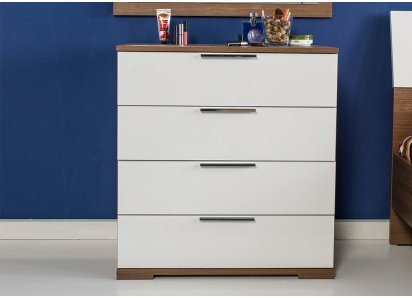 The drawer slides are heavy-duty, and glide easily to open and close drawers, with routered drawer pulls, so your 3-drawer chest looks streamlined and contemporary, and there’s never a loose handle or knob! 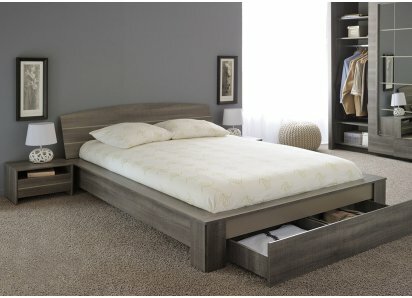 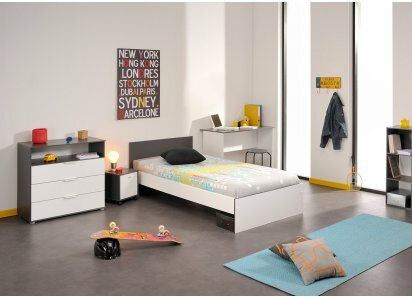 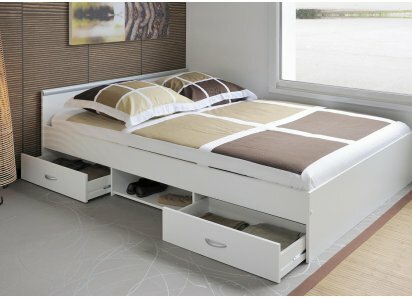 The platform bed is available in both full and queen size, so you can select the one that fits your bedroom space. 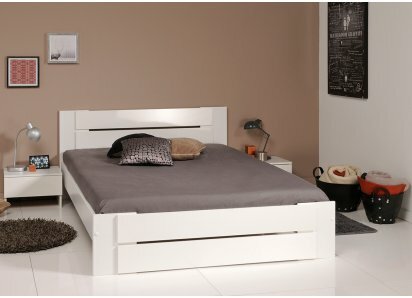 The Garden headboard leans back to the perfect angle for reading in bed or watching TV. 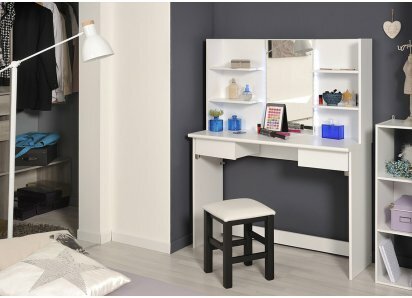 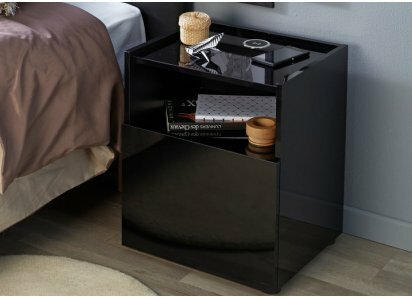 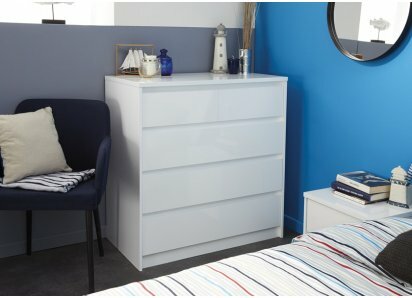 The night stand has a table top with lower shelf for books, and is roomy enough for your lamp and other night-time essentials. 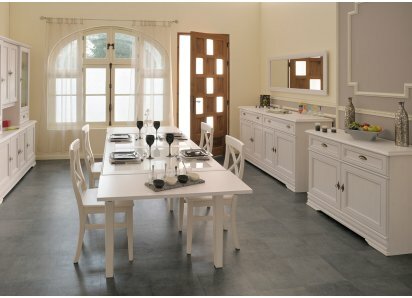 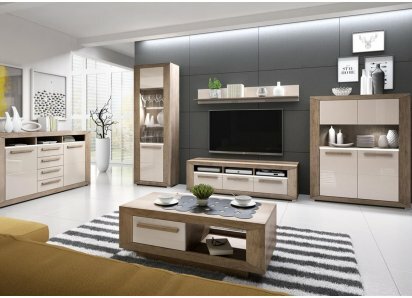 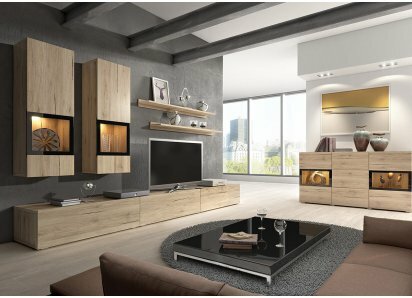 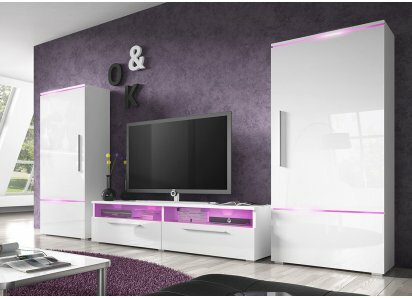 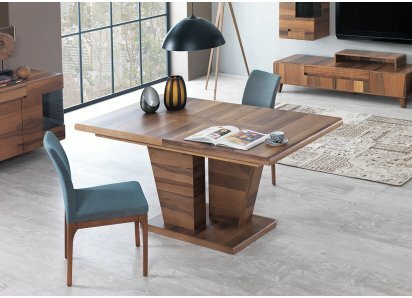 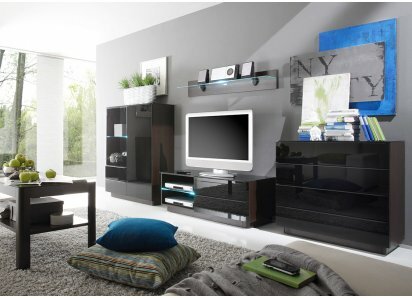 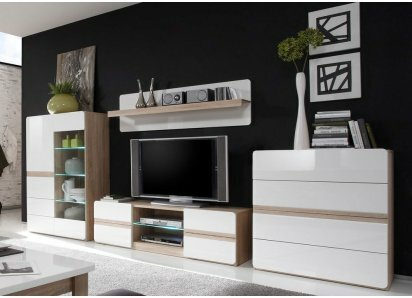 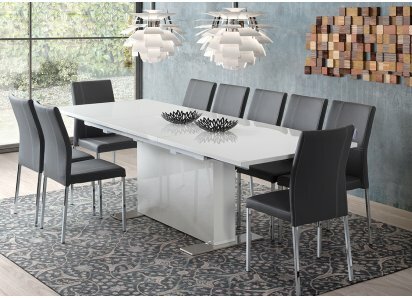 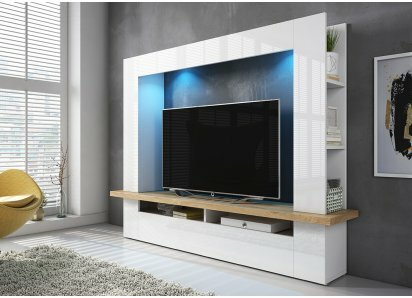 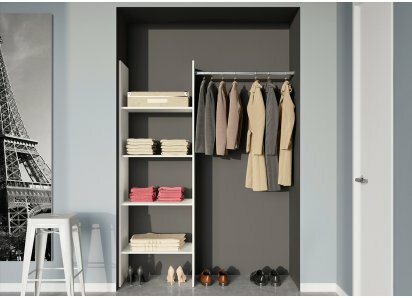 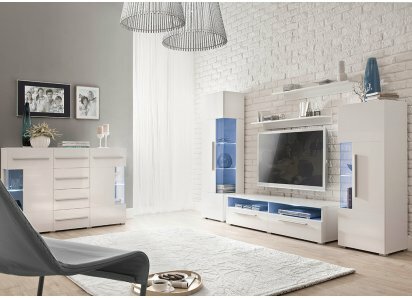 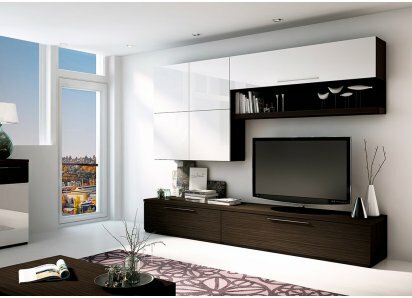 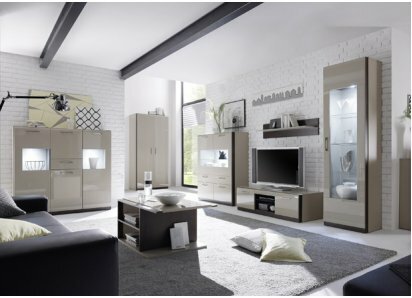 It’s simple in line, with modern light natural wood color that goes with most color schemes and home décor styles, so through the years you can blend it with new colors and themes. 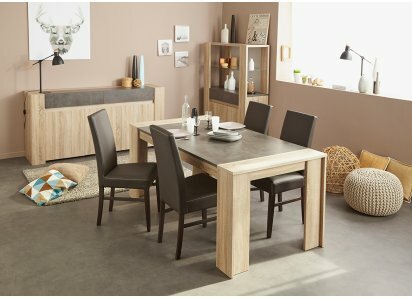 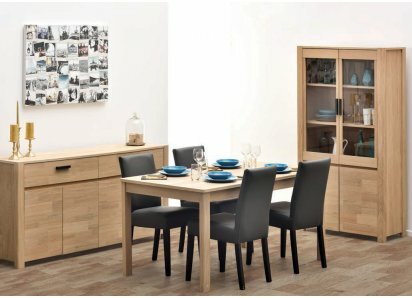 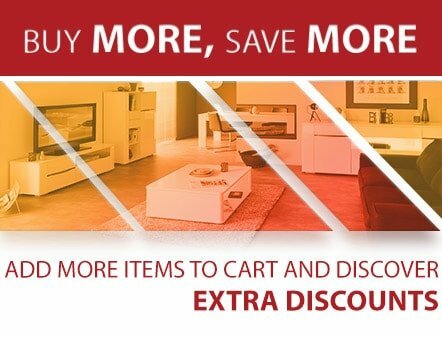 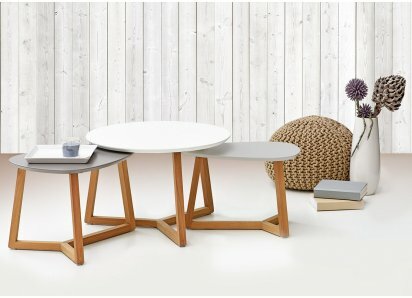 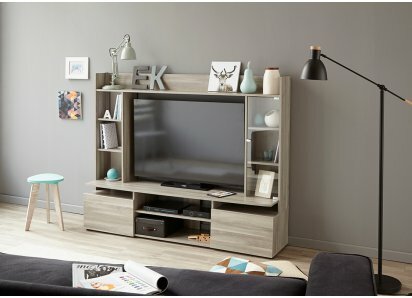 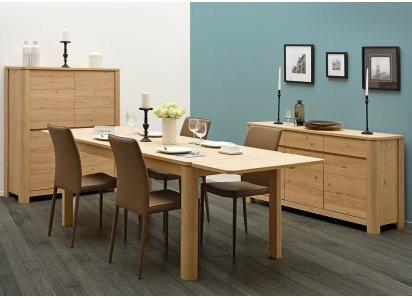 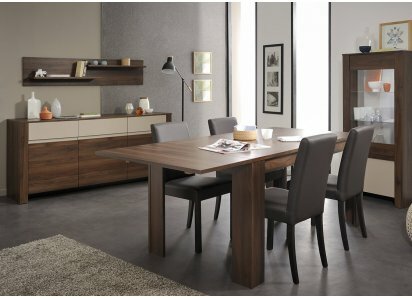 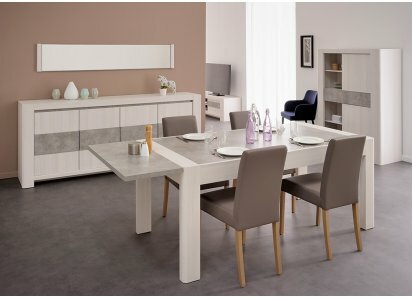 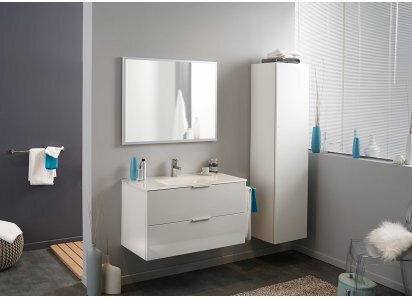 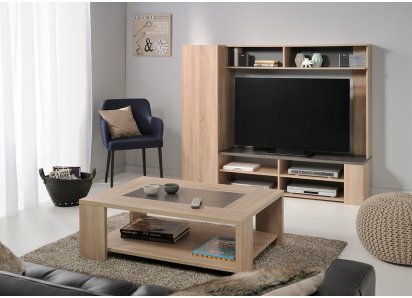 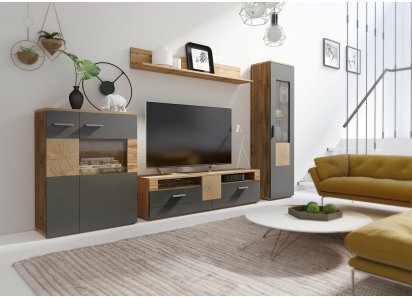 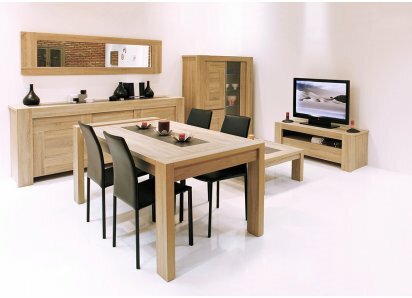 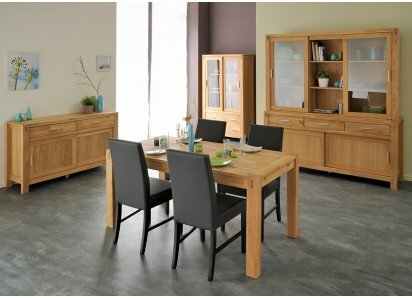 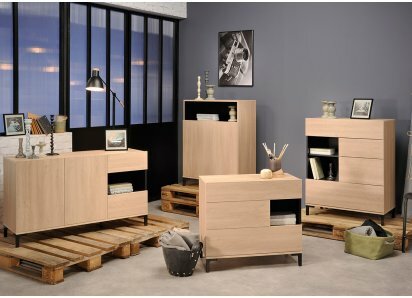 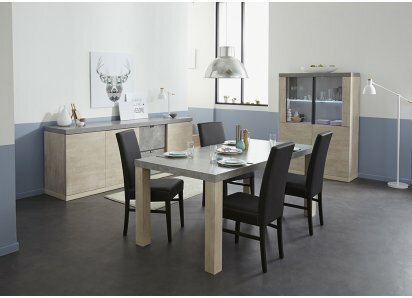 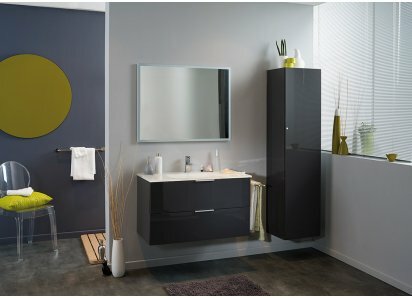 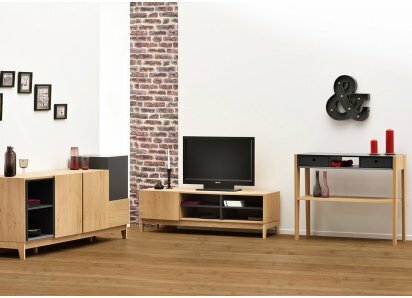 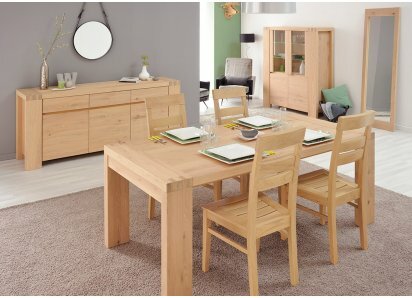 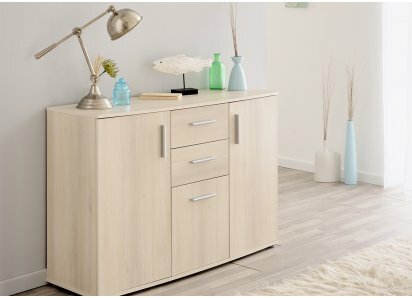 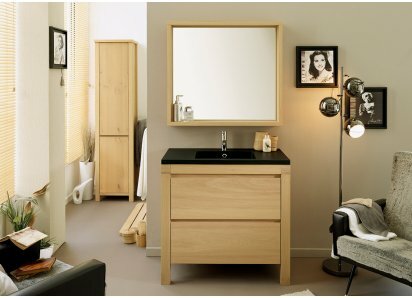 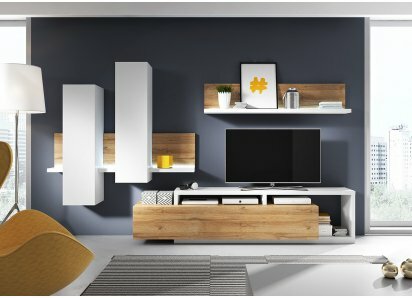 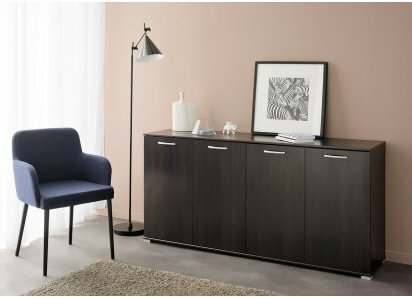 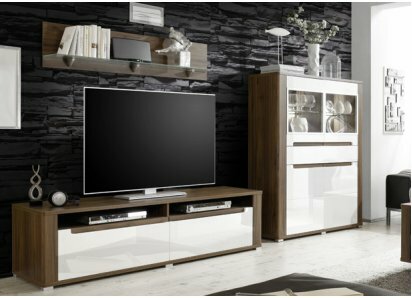 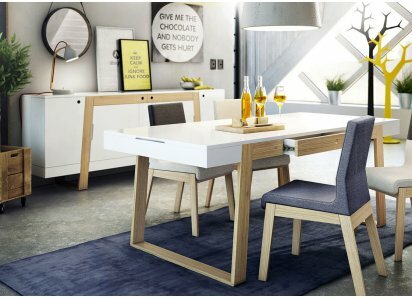 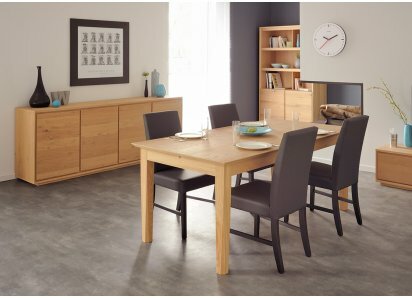 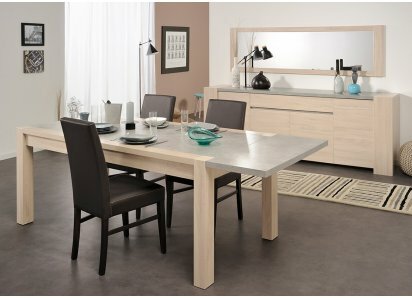 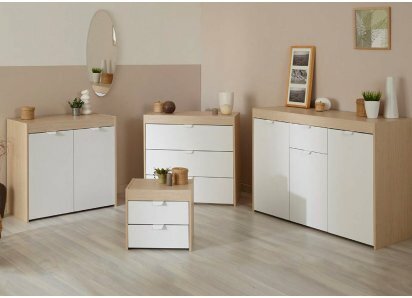 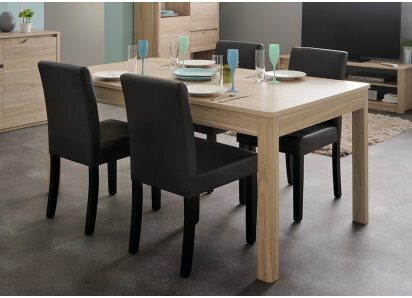 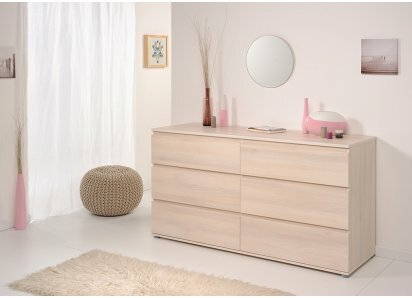 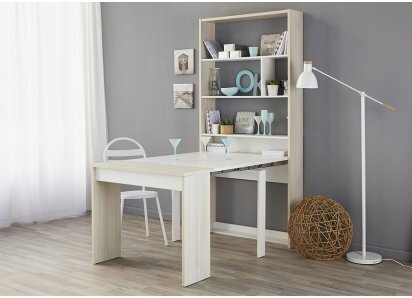 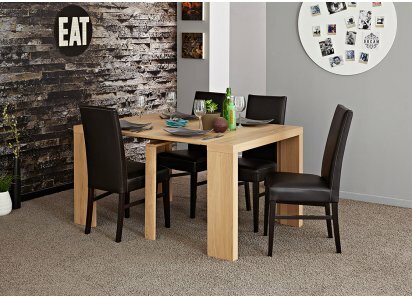 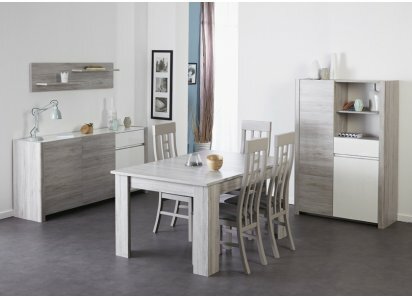 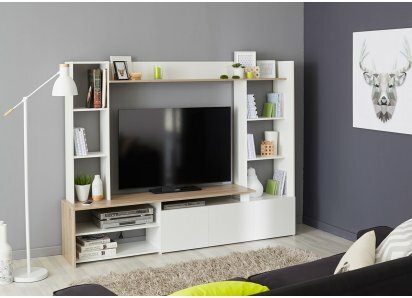 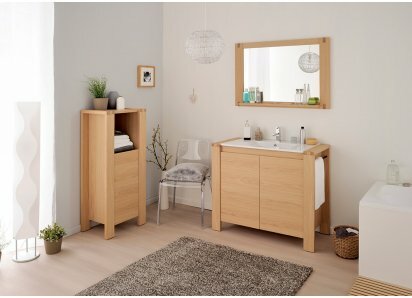 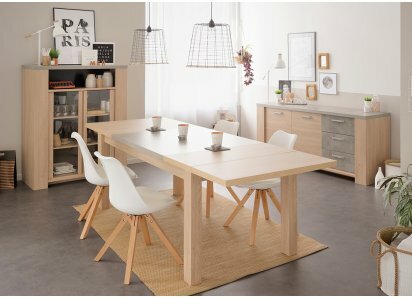 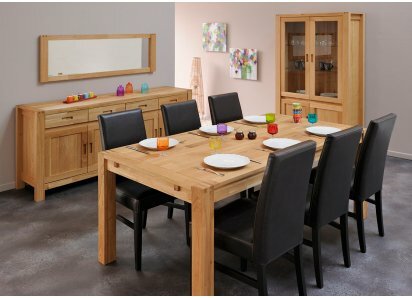 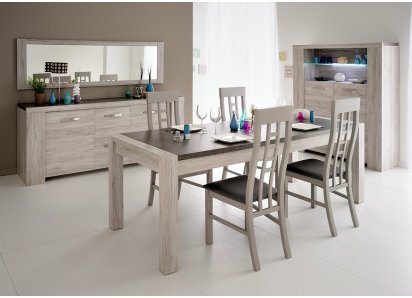 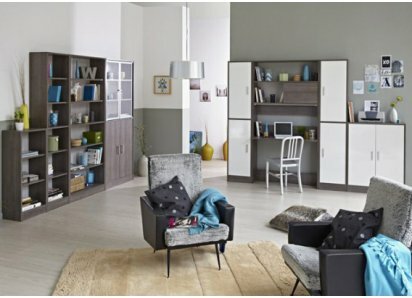 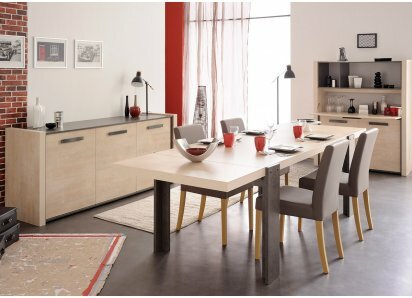 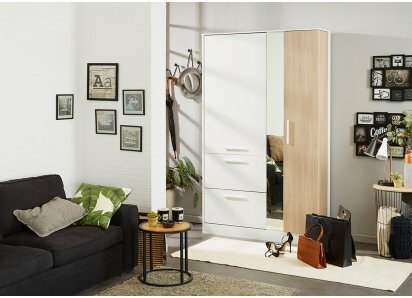 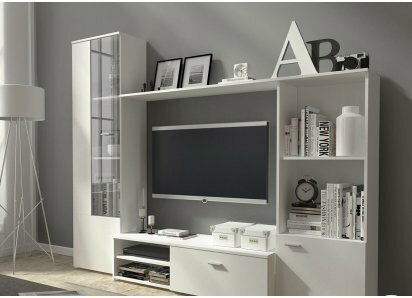 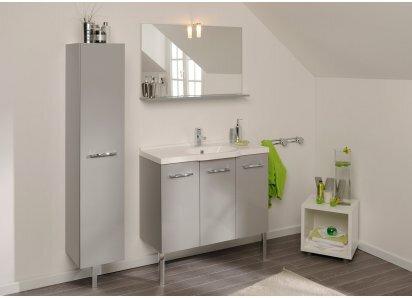 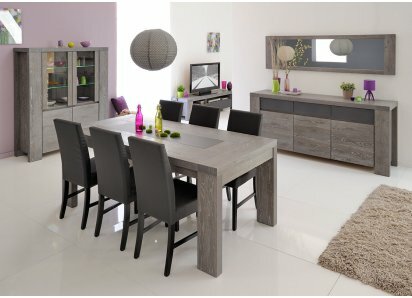 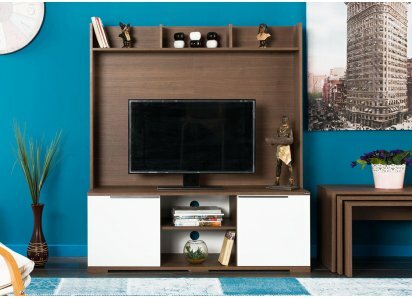 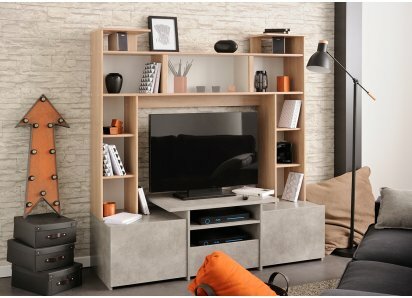 All ArteMob products from Parisot are made with wood from eco-managed forests, processed with low solvent emissions, and packaged with recyclable products, so you are buying furniture that is completely eco-friendly from a Green Way award-winning company!